On July 1, 2014, a new anti-spam legislation came into effect in Canada, and it's considered to be the toughest anti-spam law in the world. It affects any kind of commercial electronic message (CEM) or communication, whether it be emails, text messages sent from computers or phones, and even message systems within social networks. Did you know about this? Penalties: Up to a maximum of $1 million (individual) or $10 million (business). This law will primarily affect anyone conducting commercial business via email, text and message systems. But it also affects any individual trying to sell anything via these methods, unless you know the recipients "personally," and the Canadian Radio-television and Telecommunications Commission (CRTC) has their own definition of a personal relationship, so you'd better be sure to read up on it. And before you send out your next commercial email, text message or private FB message, you'd better ensure you now have the correct information within it. Canadians who send commercial messages are required to include their full mailing address, plus a way for people to remove themselves or unsubscribe from receiving your commercial emails/texts/messages. Good luck trying to figure out a way to do that on Facebook and Twitter's messaging system. Before sending anyone a commercial electronic message, Canadians are now required to ask for consent, which can be given by email or snail mail or any method where you can SAVE this information. But it can also be given orally. However, the onus is on the sender to prove they were given consent, so you must save all replies consenting to receiving your commercial messages, and you must document oral consent. It must be expressed consent and not implied consent. So remember the three requirements you need in place before sending a CEM of any kind: 1) consent, 2) your name and mailing address, 3) an unsubscribe, removal or opt-out method. "But what if I was given consent a while ago, before this law came into effect?" As long as you have proof and the proper information was given to that person and they have a way to opt out, you should be fine. But you'd better have proof. Otherwise, ask again. Any email where a service or product is promoted for sale and sent to someone who has not given consent. Any direct message to an individual or group of people, on a network such as Twitter DMs or Facebook's private messaging system and chat, where consent was not obtained first. General posts to your Facebook pages/groups/events and other social network pages, blog posts, websites, forums etc. where you're focusing on reaching the general public who may or may not see your message. Emails to people who provide services for you and your business. CEMs to people who have given you expressed permission, providing you include your name and mailing address and an opt-out method. For 36 months beginning July 1, 2014, we have been given a grace period, where consent is implied for those we have dealt with in the past. But again, you'd better have proof after the three years is up that they have consented. And if someone asks to be removed/unsubscribed, you must do so. Personally, I have always done this. You may wonder why I'd even be worried about this since I say I don't send spam. I also don't send spam tweets (DMs) or spam text messages, but I do receive them often. But like many people conducting a business via email, I have contacted people who have contacted me in the past, especially reviewers or fans who have emailed me to say they loved a book. But now I can't just reply to them telling them about my new release--I must ask their permission first. This is where it gets crazy. What constitutes as spam can be misinterpreted by people. People forget; and it's easy to forget they gave you permission. What constitutes as consent can also be misinterpreted. We're human after all. And where I once felt confident about anything I sent to people about my books, I am now second-guessing everything. Plus, it has created more work for me at a time that is my busiest. I've had to email everyone in my email database to ask for permission, and I'm only up to "S."
Many Canadians will feel relieved by this law, thinking their email inboxes and social message systems will be now empty of all spam. I get that. I hate spam too. While I get that we're all inundated with spam nowadays, and it would be a relief to receive less crap in the inbox, approximately 95% of the spam I receive is from OUTSIDE Canada. And I suspect that's the case for most Canadians. This law won't prevent those emails or text messages from spamming me. And don't get me started on telemarketers!! Now THAT'S where the CRTC should have spent their money! My biggest beef with this new anti-spam law is that the CRTC has not efficiently prepared Canadians. It's creating chaos for many larger companies. And individuals must constantly monitor what they say on social networks now. It makes me leery of even promoting myself online--and that is where 99% of my income comes from. I had never heard anything about this law until about June 25th-ish. I only found out about it because my husband works for Shaw Cable, and their employees were educated about the law. If it weren't for Shaw, I'd be completely in the dark about this anti-spam law--like so many Canadians still are. I've mentioned this to other Canadian authors, who immediately went into panic mode because they hadn't heard a thing. So to the Canadian government and CRTC, I have to give you two thumbs down, not only for implementing an anti-spam that will NOT cut down our spam but also for not properly getting word out to the people of Canada. Seriously, go after the freakin' telemarketers that call me every single bloody day, even in the middle of then night! Go after the telemarketers that call my cell phone every day, even though I've only given that number out to maybe 6 people!That affect my life far more than the 50+ spam emails I get daily that I CAN EASILY BLOCK AND DELETE within 5 minutes. For more information on the new anti-spam legislation, please visit: http://www.crtc.gc.ca/eng/casl-lcap.htm. But take a couple of aspirins before doing so--you'll need them for the headache you're about to get. 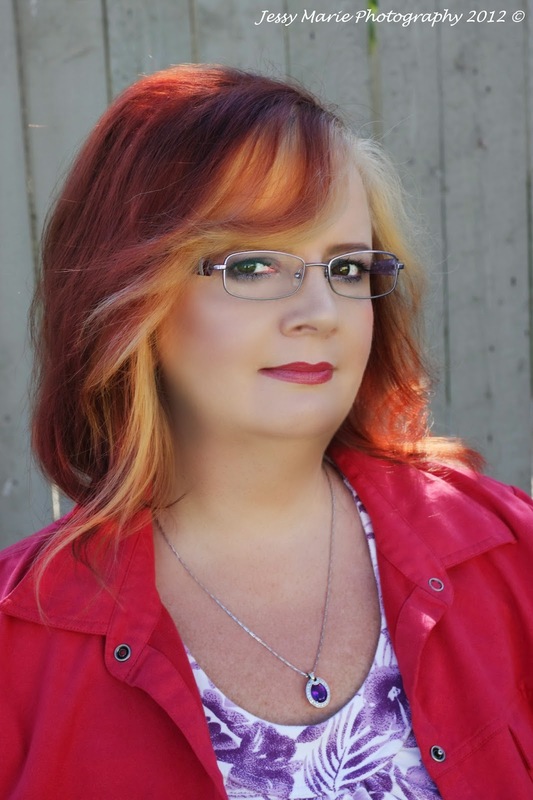 PS: If you would like to receive my news about sales, new releases, special events and contests, please email me with: "I consent to receive your book news" in the body of the email. You can unsubscribe anytime. And if you'd like to see my news on Facebook, feel free to Like my Facebook page. And you're welcome to follow me on Twitter. A couple of things. First off the public discussion about the spam law was held over a period of a decade. Furthermore, I personally wrote at least a dozen blog posts for high-profile blogs, there are thousands of newspaper articles, a national tour by Industry Canada and the CRTC, all agencies presented numerous times at email industry conferences, and the agencies have great plain-language websites http://fightspam.gc.ca is a great place to start. None of this was done without adequate time to prepare. 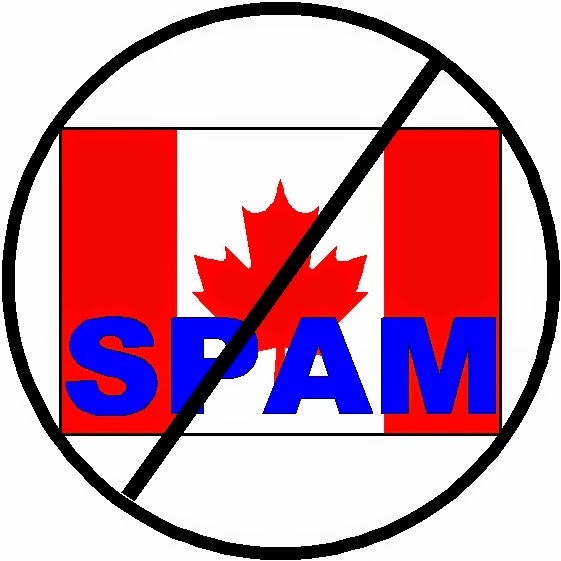 As to where spam comes from : much of it does come from outside Canada, in part because Canadians have been following the law of the land for opt-in since 2004 when PIPEDA came fully into effect. That doesn't mean that CASL won't apply; NAFTA has set significant jurisprudence for cross-border legal initiatives; in fact, the FTC has applied American's CANSPAM act here, as has Facebook. This law will have significant impact upon the 'greymail / mainsleaze' spam Canadians see from legitimate companies who send email without permission. Thank you for sharing this information, Neil. One of my issues with this legislation is that Canadians were not properly prepared for this new law. Not everyone reads newspapers or watches news, and even if they do, some have missed this. It is July 6th now and I have still not seen one mention of this law other than what my husband brought home from work and what I have searched for online--AFTER I found out via my husband. If my husband worked for another company, chances are I'd still be in the dark, as are far too many Canadians. I recently asked fellow Canadians if they knew about this law, and 80% said no. Two out of ten people had never heard a thing until I told them. Many are small business owners. I agree that there are big companies out there that send unsolicited emails to anyone using mailing list programs. But affecting social networks that already have things in place so people can delete, block or ban someone is beyond ridiculous. So far I've seen no difference in the amount of spam I receive on a daily basis. I should also add that prior to you commenting here, I had never heard of you or your blogs/website/organization, nor had I heard of fightspam.gc. And I am online 350 days of the year and connected to all the social networks plus the major publications that deal with my industry. So I stand by my comment that Canadians were not sufficiently prepared or educated about this law. And I do believe they went overboard in their attempts to control spam.